Home » Lifestyle News » Eyeing in Jaipur during night time is equally good! Eyeing in Jaipur during night time is equally good! JAIPUR: The beauty of this heritage city lies in its string of forts, monuments, and palaces and eyeing these beauties is no more restricted to the daytime. Tourists and locals can now experience Night Tourism, which means the monuments will no more close at 6 pm but will be open till 11pm. This new initiative has been instrumental in bringing the tourists in both summer as well as winter months. The architectural glory of the mystifying monuments is equally—or even more-- magical during the night as much as it is in the daytime. Here are a few must visit places. The City Palace by Night is already becoming a favourite among the tourists and the locals alike. The 'Museum at night and Sculpture Lumiere show' at the City Palace is a 28 minute show that unfolds the history of the royal family. The French Sculpture Lumière Artist - Patrick Rimoux, created the spectacle of light. And the introductory narrative of the show will be voiced by none other than Amitabh Bachchan. All of these and a kaleidoscopic view is truly alluring. The show unveils the history of Kacchawa rulers, and their contributions to Jaipur.  During the show, the audience will get to see a rare collection of vintage photographs, and video footage on the walls of Sarvato Bhadra Chowk. 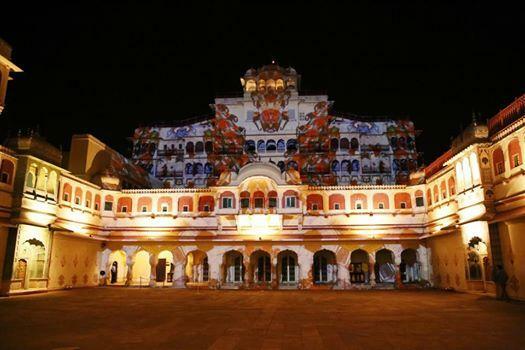 The kaleidoscopic light show will also showcase a bunch of various art works of Jaipur. This is said to be the first museum in India to start with a night concept as such. Gear up to enjoy the winter chills and the summer breeze at the City Palace, Jaipur. The three major components of the night show are that, the visitors get a chance to visit three museum galleries, followed by the awe inspiring show, concluding with a scrumptious dinner which is optional. 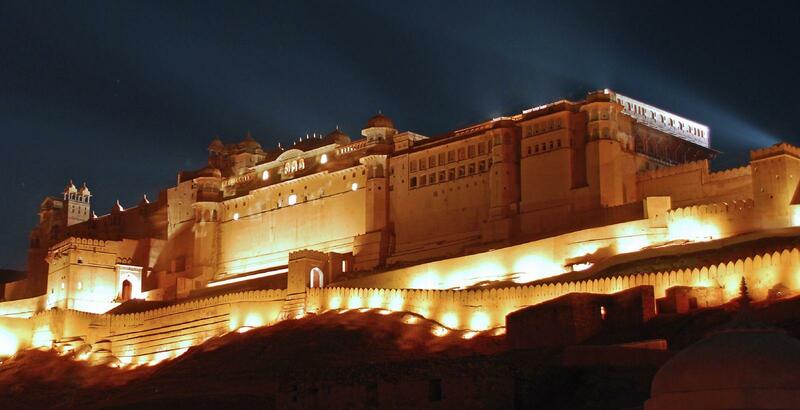 Amber Fort is one of the most popular and much loved monuments of Rajasthan. The fort finds its admirers across the planet. The magnificent monument added yet another feather to its list of charismatic details, when the fort took on to night tourism some months ago. An eternal beauty that it is, the fort lends a mystifying experience during the day, and offers colourful evenings that are flagged by myriad hues coming from lights that illuminate the selected parts of it including Jaleb Chowk, Diwan-e-Aam, Mansingh Mahal and Sheesh Mahal. The mesmerizing display of lights scattered across the places takes you on a romantic experience filled with peace and tranquility. A modest but wonderful start of Night Tourism in the Pink City, Amber by Night is an experience that will definitely entice you. With the City Palace and the Amber Fort getting their share of night tourists, could Hawa Mahal, again, one of the popular monuments of Jaipur city, be left behind? 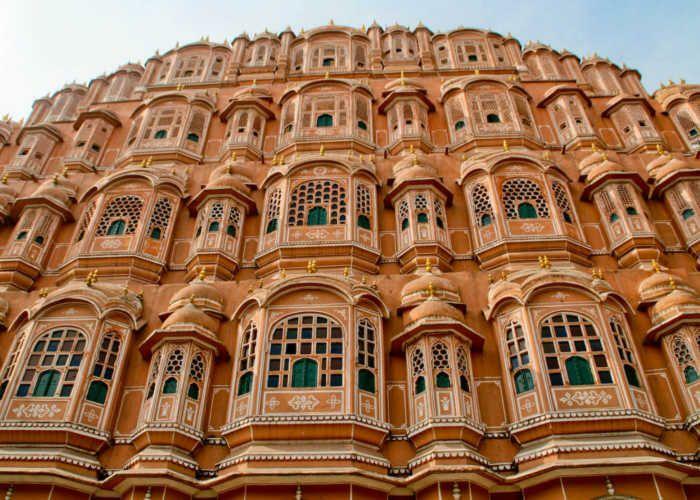 As a part of night tourism, the Hawa Mahal will now be soaked in light and sound as it gears up to host a musical extravaganza titled, 'Winds of Music' during the evenings. While the audience gets to swing to different folk and classical performances, they will also get an insight into Rajasthan's historical and cultural richness through an audio-visual presentation. 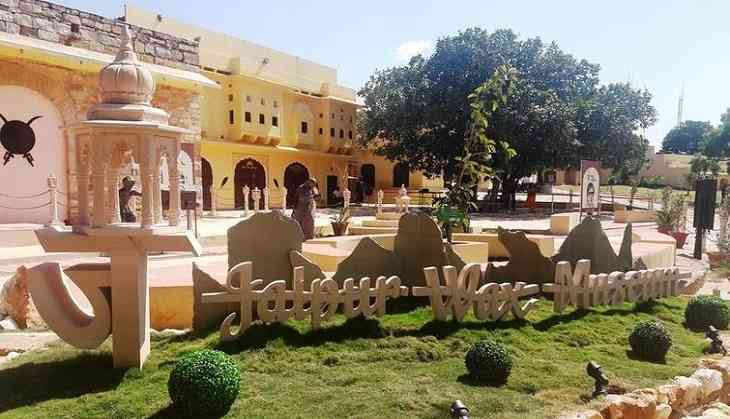 Nestling in the premises of the popular Nahargarh Fort, the Jaipur Wax Museum is a haven for everything from the rich heritage, art and culture of Rajasthan to Bollywood and Hollywood actors , sports celebrities, and eminent people from various walks of life. As the name suggests, museum aesthetically displays wax and silicon statues of renowned people who have created a niche of their own. India’s maiden and senior most wax sculptor Susanta Ray has sculpted the wax statues at the Jaipur museum. Each statue is displayed in the ‘Hall of Icons’ section and ‘Royal Darbar’ section of the Nahargarh Fort is giving the city a new destination to visit and recall the legends our history has given us. Apart from this, it also has a royal section made for the majestic real life statues of the Maharajas and Maharanis of Jaipur and the state of Rajasthan. Alongside, a background has been lent to each statue to support and compliment its celebrated history. This feature has made it one-of-its-kinds museum that enhances the wax figures and make them feel larger than life. The evening hours spent in the serenity of the wax museum will give you memories that can be treasured for life.